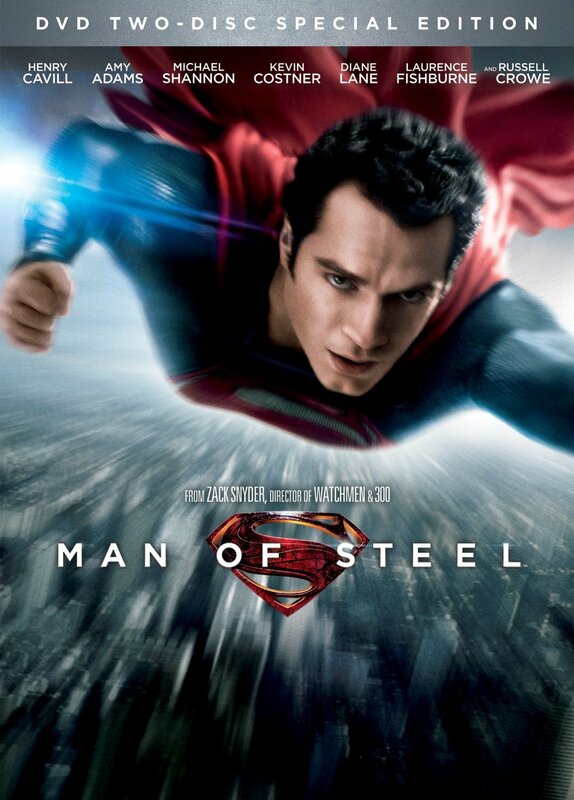 Warner Home Video has revealed the official Blu-ray and DVD artwork for Man of Steel. Director Zack Snyder’s Superman reboot stars Henry Cavill, Amy Adams, Michael Shannon, Russell Crowe, Diane Lane, Kevin Costner, Laurence Fishburne, and Antje Traue. You can check out the cover art below. In the film, a young boy learns that he has extraordinary powers and is not of this Earth. 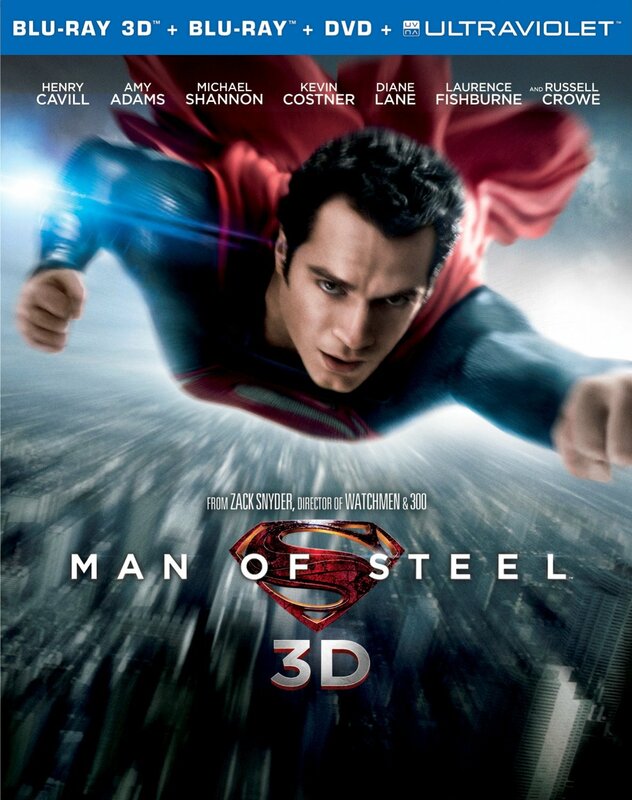 As a young man, he (Cavill) journeys to discover where he came from and what he was sent here to do. But the hero in him must emerge if he is to save the world from annihilation and become the symbol of hope for all mankind. 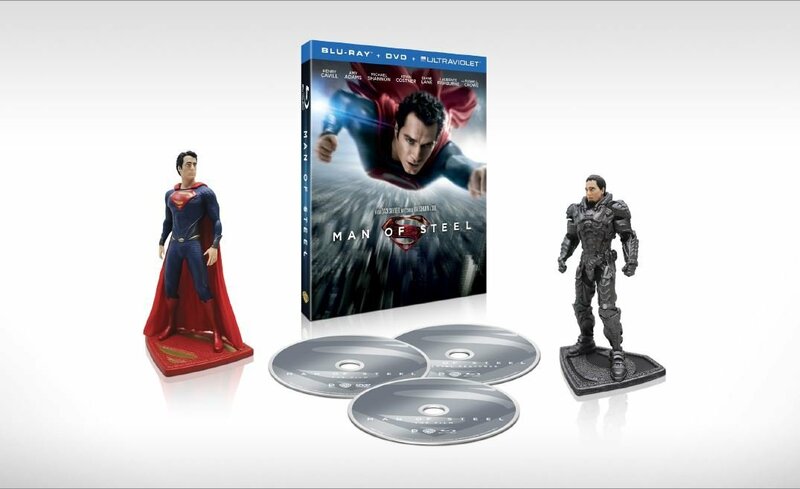 Man of Steel is available for pre-order on Three-Disc Blu-ray Combo Pack, Blu-ray 3D Combo Pack, Two-Disc DVD and Collectible Figurines Gift Set Combo Pack. All four editions include an UltraViolet digital copy of the film.